So far, in our pallet wood recycled furniture projects especially couches and sofas, we have focused on the fine armrests of the couches. But we didn’t focus on some chairs with footstool or footrest. 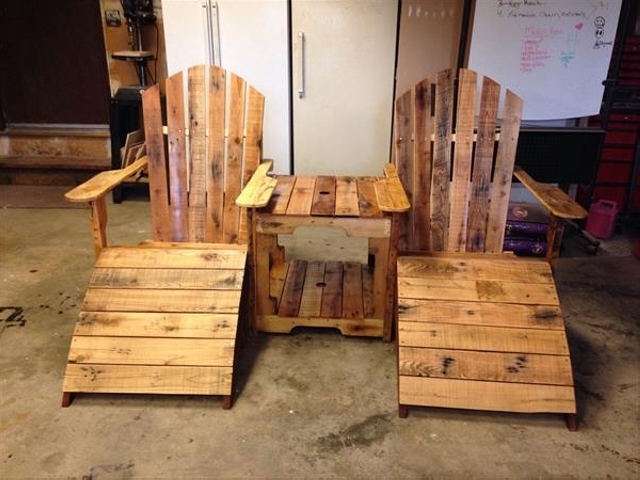 So definitely a new and exciting project for all the pallet wood crafters. 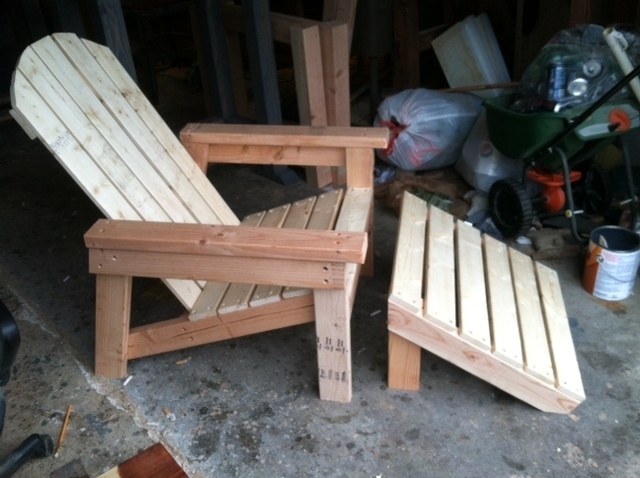 In this specific projects we are going to work on a number of chairs that are having built in footrests. 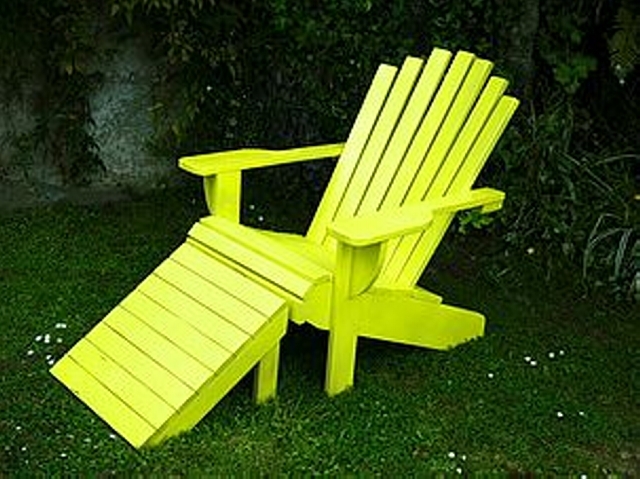 This would be a new addition in the conventional shape of chairs that we usually see all around. And from the perspective of comfort, this is a great incentive as well. 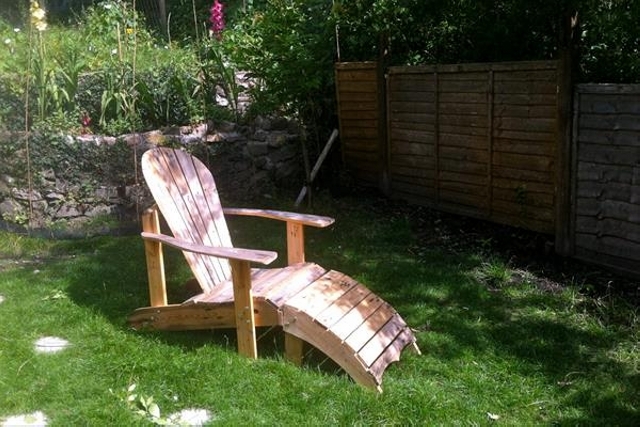 We are starting with this large Adirondack shaped pallet wood recycled chair. 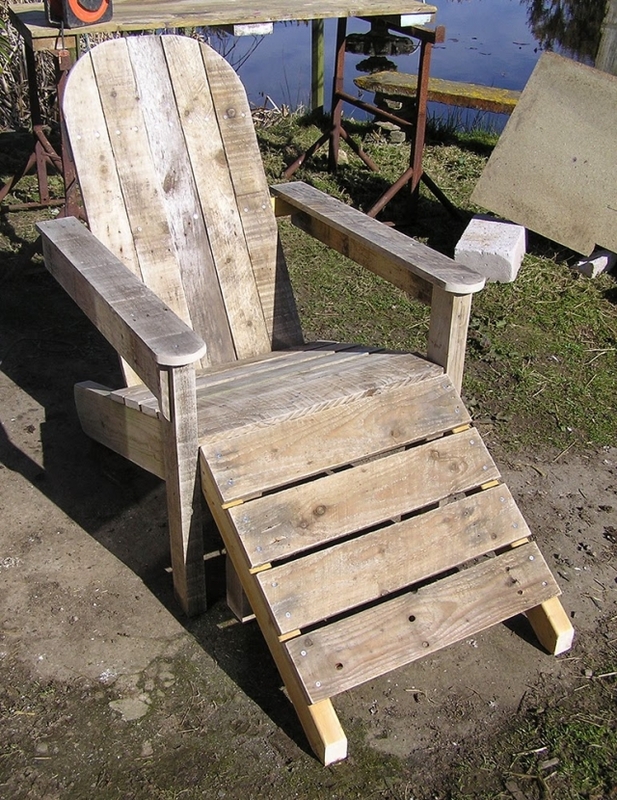 And you know what is the real charm in this wooden pallet chair? That is the additional footrest that we have added in the design. This slope bending outward would be a support for your legs while sitting on it for longer spells. Wow, this is probably designed by some crafter who is madly in love with her girlfriend or wife. He would have thought to design some furniture item on which he can spend some longer spells with his beloved, the footrests are made to ease the sitting plan. 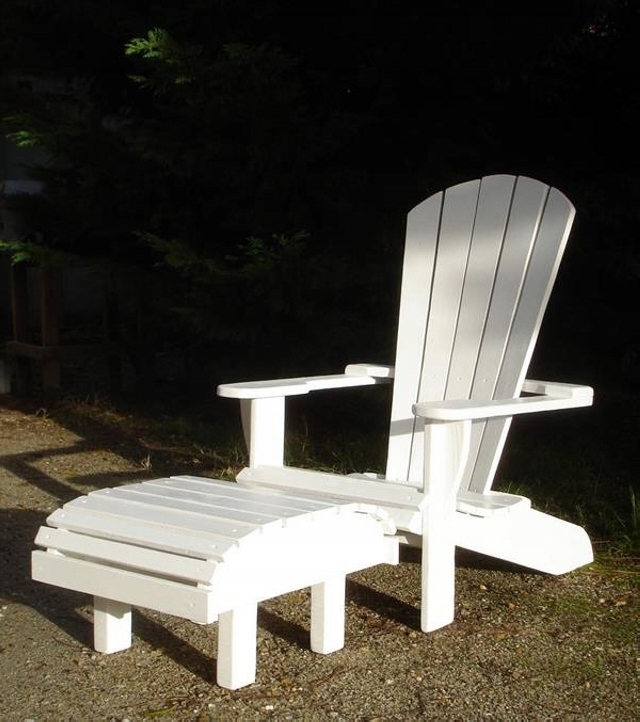 One thing that is quite great about these Adirondack shaped chairs is their design that makes them pretty distinguished. 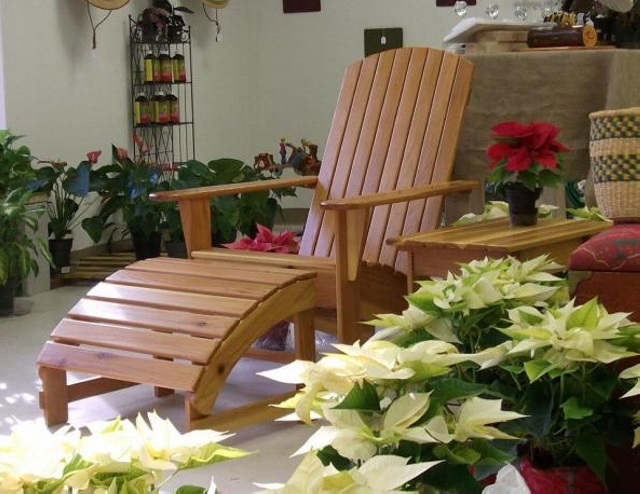 They are an ideal furniture item for the outdoors, especially for your garden or patio. 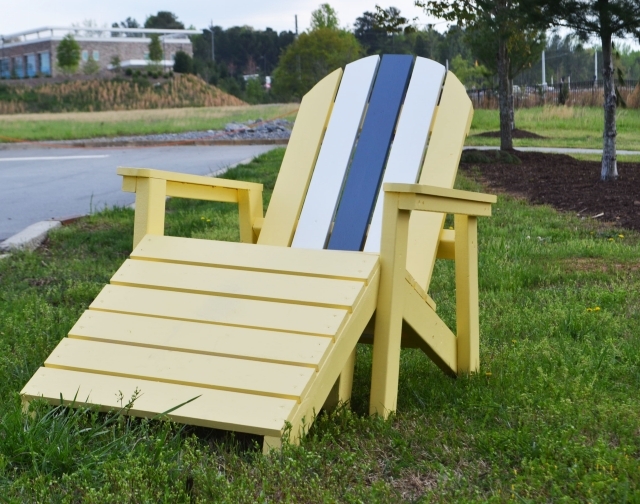 These chairs allow you the posture that is most comfortable for longer sitting sessions. 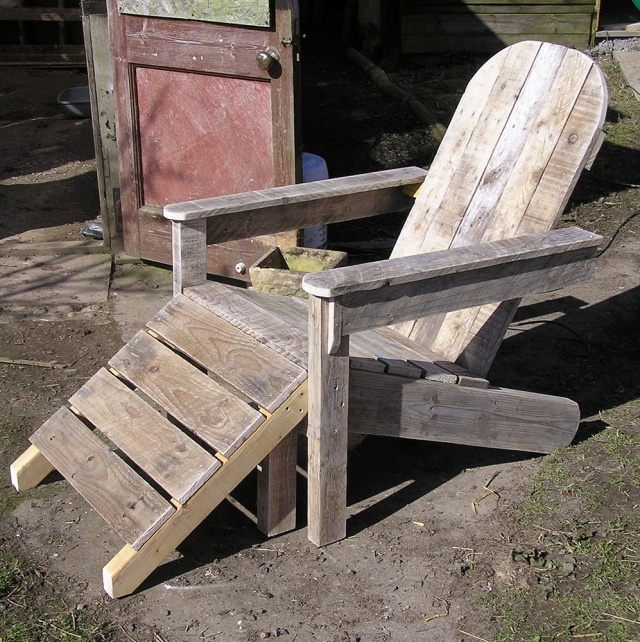 Another great example for the wood pallet recycled chairs with footrests. 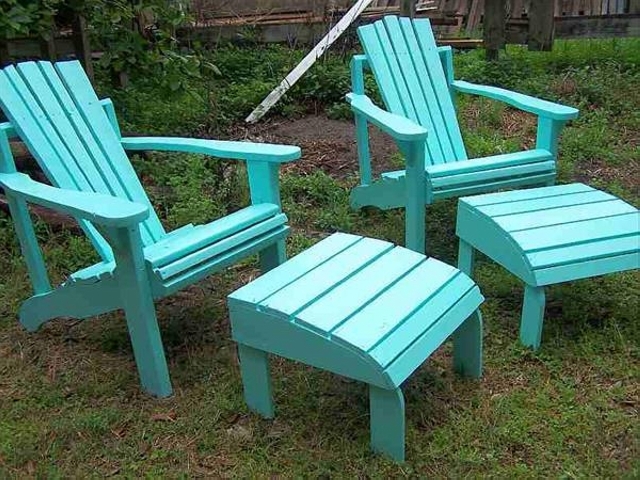 Though this is a whole comprehensive sitting plan for your patio, but the main feature that we are focusing on for now is the footrest of the chairs. They have really turned them into a luxury furniture item. 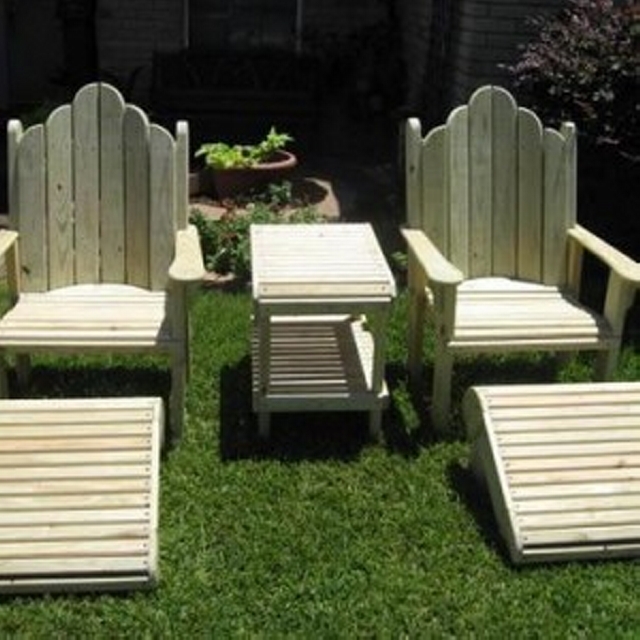 Wow, I just want this one for my patio. 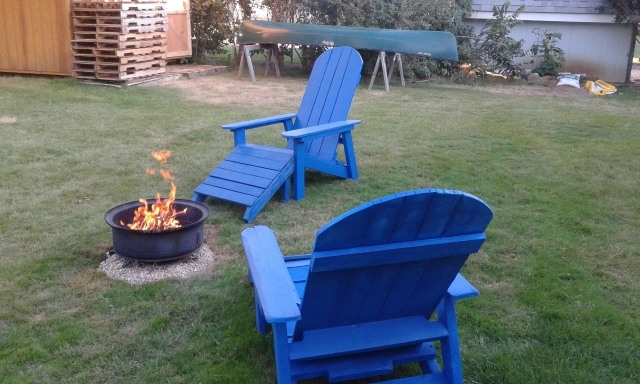 This is a perfect outdoor chair made with the finest shipping pallets. This is very finely stained and sanded with most smoothened up texture. And the curvy footrest has escalated the beauty of the chair and also raised the comfort level. 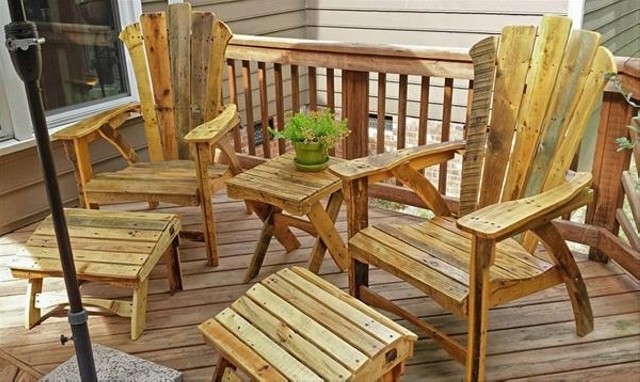 I am already convinced with the smartness of our pallet wood crafters. 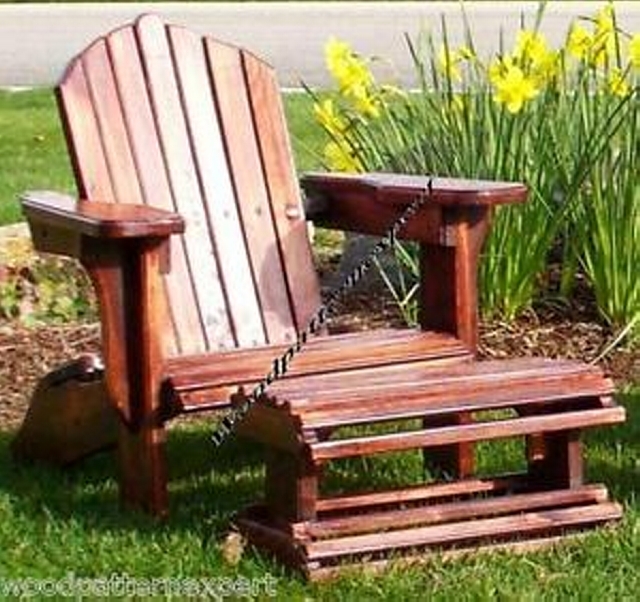 This is their mastery of this specific art that allows them to recycle such gorgeous pallet wood creations. 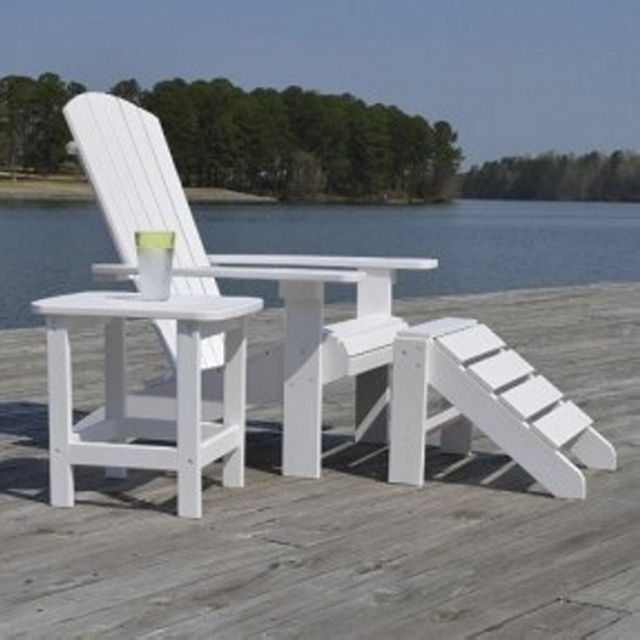 This apparent footrest of the chair is made in such a manner that this can also be used as a front or side table as well. In the continuation of the last project, this is again the same inspiration with different stain color. 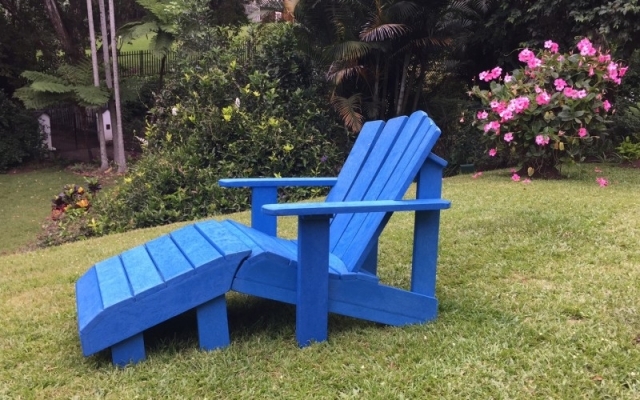 The same sort of design is adopted here again, with the ultimate design they are provided with an additional feature, a footrest that assures complete comfortable sitting of yours on this. There were mainly two reasons behind recycling this additional footrest with the chairs, some of them were fixed and some could be separated. 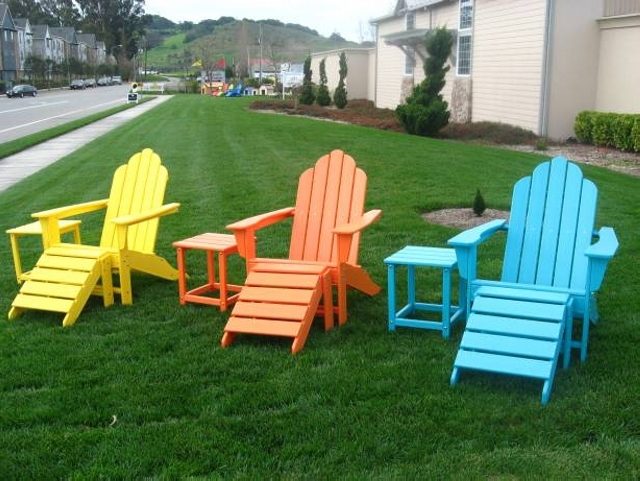 The main reason of their creation was adding a luxurious feature in the wooden chairs, and also to make them look much prettier.